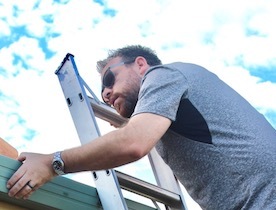 Jacob McKechnie has been in the Building Industry for over 14 years and is a fully licensed Builder. As the director and owner of BPI Ipswich, Jacob is a fully licensed Builder, Carpenter, Pest Technician and Building Inspector. With such diverse building, construction and inspection experience you can be guaranteed Jacob will thoroughly inspect your property and provide you with a detailed inspection report to give you peace of mind with your property purchase. BPI Ipswich Building and pest Inspections provides quality reports for buyers and sellers who want to know the condition of their biggest asset, their home. BPI Ipswich is a proud local business backed by BPI Australia which has become the fastest growing Building & Pest Inspection company in Australia. BPI Ipswich specialise in Combined Pre Purchase and Pre Sale Building and Timber Pest Inspections and Pool Safety Inspections. You will get one inspector – Jacob McKechnie – to complete all inspections.